So many of My Vacation Lady‘s clients think that going to Hawaii is very expensive. Well, getting there can be but enjoying the islands may not be quite as expensive as you think. Every time we visit Hawaii (and we’ve been there 8 times), the last island we visit is always our favorite, until our next trip. But we really do love Kauai. When you think of Kauai, Jurassic Park may come to mind. That’s because the movie was filmed there, along with so many others. Kauai has so much to see and do and many of the activities and sites to see are free or almost free. 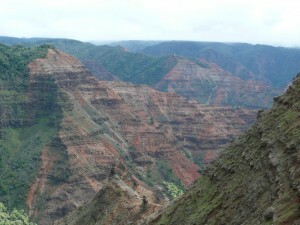 Visit Waimea Canyon– nicknamed the Grand Canyon of the Pacific. You’ll see stunning panoramic views along the 10 mile long and 3500 foot deep expanse of the canyon. The best part, you can do it on your own—- No Excursion Needed. On your way back from Waimea Canyon, stop off at the Kauai Coffee Plantation. Free walking tours are offered at 10am, noon, 2pm and 4pm. Hike the trails. The problem would be to choose what you want to hike since there are so many. 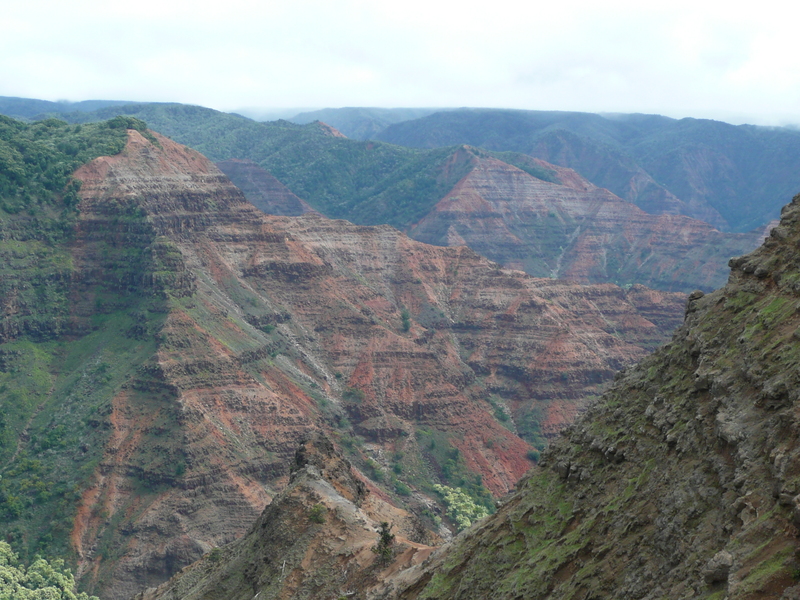 For the really serious hikers, the Kalalua Trail is an 11 mile trail along the Na Pali Coast. It is not for the faint of heart. For a moderate hike along the beach in the Poipu region, take a hike along the Maha’ulepu Heritage Trail. We did this on our last vacation to Kauai. After climbing up a steep trail to get to the top of the hill, we realized that there was a much easier way to go but it was worth the steep climb. There were 2 artists up there painting some great pictures of the steep cliffs. Enjoy the beaches. All beaches in Hawaii are free and Kauai has it’s share of some wonderful beaches. Poipu Beach is one of the best on the island. 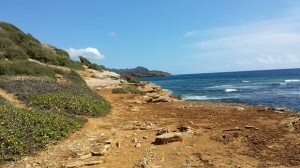 Lydgate State Park is a long beach that is usually very calm and great for families. Ke’e Beach is a far west as you can go along the North Shore and we saw some monk seals just hanging out. Great place to relax after a long hike along the Na Pali Coast. Check out some waterfalls– Wailua and Opaeka’a Falls are two that you can drive to and are pretty close to the road. Browse through Hanapepe Art Nites on Friday nites from 6-9pm. Explore some of the galleries and enjoy some local cuisine as you stroll the streets of historic Hanapepe Town. Drive up to the Kilauea National Wildlife Refuge on the east coast of the North Shore. There is a small entrance free to get into the wildlife refuge but you can see the light house and some breathtaking views of the north shore completely for free from the parking area and along the coast. When My Vacation Lady plan’s our client’s vacation or honeymoon to Hawaii, we offer lots and lots of information on how to save money once you’re in the islands, including driving tours, great beaches and restaurant recommendations that won’t break the bank. As a Hawaii Destination Specialist, we can help plan your dream getaway to the islands!